Kera-42 Cream Includes FREE SHIPPING! Home / Diabetic Solutions / Kera-42 Cream Includes FREE SHIPPING! 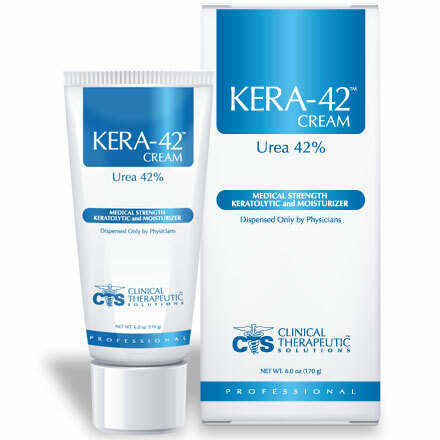 Kera-42 Cream is a safe, effective, medical strength, keratolytic, and moisturizing urea-based formulation essential for calloused, rough, dry skin. KERA-42 CREAM exfoliates dead skin cells while restoring moisture to the new cell layer, providing an optimal environment for healthy skin. Price: $40.00 All our prices include FREE SHIPPING. 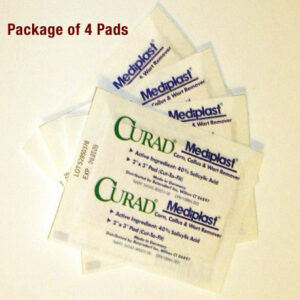 Curad Mediplast Includes FREE SHIPPING! Toe Splint Includes FREE SHIPPING! Lanolin Nail Conditioner Includes FREE SHIPPING! U Pads: Felt Callus Cushions Includes FREE SHIPPING! For assistance with your order, phone us at 631-277-8900. Copyright © 2018 Foot Care Products from FootDocStore.com.